We had to do some artful dodging of rain storms to make this shoot happen, but we ended up with some of my favorite fall photos at Brown County State Park this year. Congratulations, Caitlin & Craig! Vishesh and Dakshi met at IU, and made the journey back via red-eye for a beautiful fall engagement shoot at all of their favorite spots on campus. Chase and Mary drove their puppies all the way from the East Coast to Bloomington to include them in their engagement session. It was a warm and humid evening, but we didn’t let that stop us from capturing all this love and laughter. Jake and Sydney came back to the Bloomington area to visit family right after Jake returned from eight months in Afghanistan. I love that Sydney thought to reach out to me to photograph them loving on each other in celebration of their relationship. Nick and AP came to me with one major directive for their engagement shoot: They wanted to have fun. A visit to the playground, and a couple pillow cases stuffed with feathers later, I think it’s pretty safe to say that not only did we accomplish that, but we were also able to create some gorgeous, lasting memories that speak to the very core of their delightfully playful relationship. Connor and Lauren brought their love back to Bloomington for their engagement session, where they met in their college years as fellow journalism students on the Indiana University campus. Interested in engagement or wedding photography in the Bloomington area? Schedule your free consultation with Katy at Icarus Photography today! There is just something inherently romantic about engagement sessions in the woods, and Cori and Brandon’s engagement shoot proves it once again! What better way to kick off spring than by getting out to the canal in Indianapolis? Ben and Lainey spent a lot of time on the canal as a budding couple, so this location is very sentimental for them. It was still a little chilly at this early Spring engagement session, but that didn’t stop them from warming up for the camera. Can’t wait for this sweet couple’s wedding! 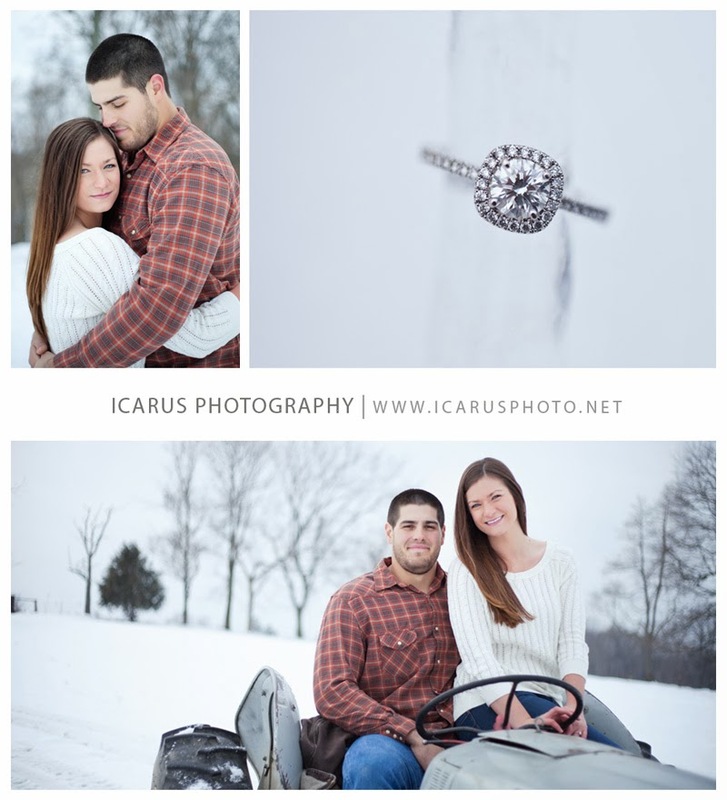 These two were such incredible troopers throughout their cold and snowy engagement shoot!